As cyclists, we put in the intensity and the mileage on our machines in our quest to perform on that next big race, but we often fall short of our true potential because of one very simple reason. We focus on the physicality of the sport and neglect the aspect of ‘street smarts’ and common sense. 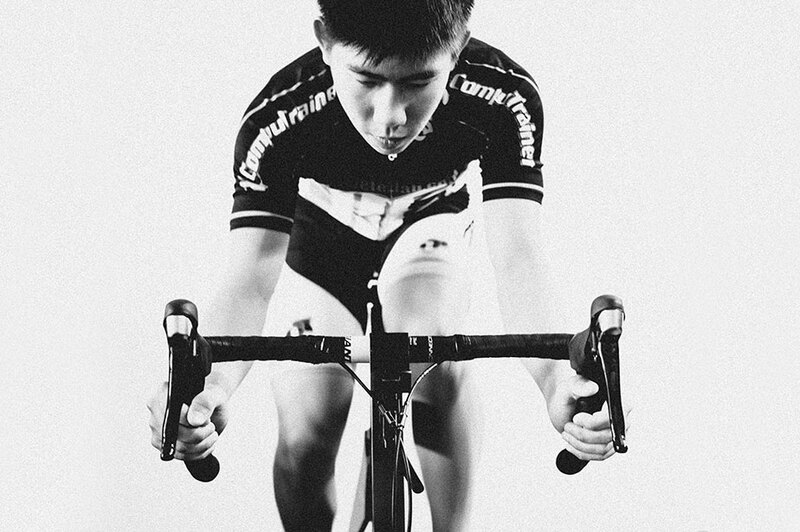 We often have members asking us how they can improve their numbers (their FTP and their power/weight ratio being the most common); our reply to is that the numbers reflect just one part of making a good cyclist a great one. Here are some typical things to look out for so that your next event is not only done strong but smart as well – whether you are a time-trialist, a roadie, a triathlete, or even a mountain biker. Great-looking metrics (FTP, mileage, metres climbed, etc) are no substitute for skill and confidence - Spend some effort developing your skills and good riding etiquette/habits. Be wary of doing the same old routes week-to-week with the same bunch of riding buddies. Instead, explore new routes, especially ones that intimidate you a little in terms of technicality and gradients both up & down. Go ride with folks who are slightly faster and more skillful than yourself: it keeps you honest, toughens you up mentally, and might even earn you some valuable riding advice and new friendships along the way. Essentially: Look at your GPS less and look at what you are actually riding more. Beginner tip: Consider taking up a skills clinic or cycling class to sharpen up your cycling skills and reduce nervousness when doing basic skills like eating/drinking on the bike or doing hand signals within a group of cyclists. Clinics and riding with the intent to learn (rather than to simply clock distance or speed) also gets you accustomed to the idea of riding challenging terrain (think: steep descents, sharp corners, or slippery roads) smoothly instead of just bumbling through. Pro tip: 80% of riding efficiency (where there is no fitness component) comes from negotiating corners well – the remaining 20% comes in the form of being able to tackle the more glamorous and talked-about things such as ‘straight’ descents and the ‘rough stuff’ (potholes, speed bumps, gravel, cobbles). In the corners, your goal should be to brake less, but also pedal less whenever possible – and thus save energy for where it really counts against your competition. Finding the right event - Check the event info webpage or emails for crucial details such as distance, total ascent/descent statistics, elevation charts, or maps. The more detail the better. Ensure you are physically capable of covering the route (with sufficient physical training, of course) and if possible, simulate the route’s conditions and terrain in training. Beginner tip: Go sign up with a buddy who knows what the course is like and ride it together with him/her; or seek out the advice of someone who has done the route before. Pro tip: Choose an event that plays to your strengths or your team’s strength. If part of a team, keep in mind that particular riders in your team may find particular stages or types of routes that they are more likely to do well in, and worse in others. Additional info helps - Event organisers will try to present a sanitized version of the route data – do not be deceived by them! Even a high-res trace of the route or a gradient graph will not tell you how technical a course is: so it pays to delve deeper to find out what you are truly up against. Look for photos and video footage of the route, whether it is official race coverage or from spectators. The recent advent of on-board action cameras means that you can probably find point-of-view rider footage somewhere on the Internet from previous participants to help you visualize your route. Beginner tip: Identify spots on the route where it is easy for you to re-fuel and re-hydrate (typically straight, non-technical stretches) without too much drama. Getting to know the position of aid stations and the distances between them is also helpful, for your nutrition plan especially in longer events. Pro tip: Identify spots where it will be easy to establish a crucial breakaway, attack, or that is potentially tough to close a gap. Big climbs, tricky descents, rough sections, and stretches with lots of corners are all prime spots around which you can plan your individual or team tactics. Of course, a recce ride is the best way to check out and prepare for an event – before the event itself. You can ride repeated times on a tricky section and get to know the best ‘race lines’ , learning how to get the best out of yourself and your bike. You can even practice your hydration and nutrition plan, or team tactics. Whichever the case, do not take unnecessary risks in a competitive setting. Marshals, caution signs, and ‘no-overtaking’ regulations at certain spots are there for a very good reason – please heed them, respect the rules of the event as well as other participants, and alway have safety as a top priority. Beginner tip: play it smart and be very alert to marshal’s directions, arrows, and traffic cordons during the event itself. Good situational awareness comes with being confident with the capabilities of the bike and remaining relaxed – especially if you are leading a pack or have become isolated away from any bunches that have formed. If you are with a bunch, give everyone some space, let the more technically-adept riders lead especially when there are lots of corners or sharp turns, and if possible, imitate the better riders by following their line choice. Pro tip: Before coming up on a very technical section, and when you have the chance, pull ahead of riders who you have identified as being less technically-adept as yourself – you do not want them to be ahead of you when they are grabbing the brakes unnecessarily in tight , technical sections or in a ‘no-overtaking’ zone, or are simply riding too erratically for you to enjoy your ride behind them. Protein: How Much Is Too Much? Athlete Lab London is 1!